Used in more than 40 countries worldwide including North America and Europe. 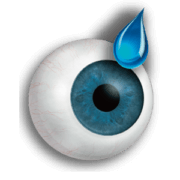 In the healthy eye, a clear fluid called aqueous (pronounced AY-kwee-us) humor circulates inside the front portion of your eye. 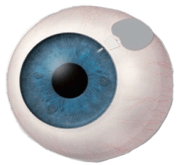 To maintain a constant healthy eye pressure, your eye continually produces a small amount of aqueous humor while an equal amount of this fluid flows out of your eye. 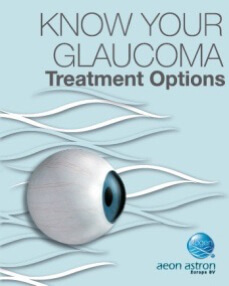 If you have glaucoma, the aqueous humor does not flow out of the eye properly. Fluid pressure in the eye builds up and, over time, causes damage to the optic nerve fibers. *1. 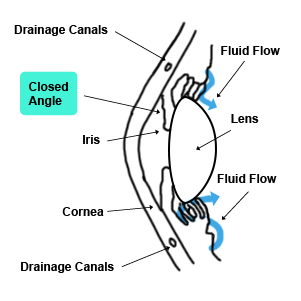 The two main types are open-angle and angle-closure. Must be taken every day. You will need to see your ophthalmologist on monthly basis, which might be inconvenient and potentially expensive. A bleb is created and it helps the liquid in your eye drain to through the flap then be absorbed into blood vessels. Surgical techniques unchanged, simply place ologen CM on the scleral flab in the eye. Why should I consider ologen™ Collagen Matrix as an alternative to Mitomycin-C (MMC)? Mitomycin C (MMC) is teratogenic and associates with increased risks for conjunctiva thinning, bleb leakage, hypotony, blebitis, and endophthalmitis. ologenTM Collagen Matrix is an alternative to MMC that results in a non-scarring wound healing with a prominent filtering bleb to enable successful surgical outcome. The dangers of handling MMC are avoided. The surgery is made more time efficient by eliminating the need for the handling, application and disposal of MMC. How safe is ologen™ Collagen Matrix? ologen™ Collagen Matrix has been demonstrated to be safe and biocompatible according to a series of biocompatibility requirements set forth under ISO 10993. ologen™ Collagen Matrix have been used in over 16,000 glaucoma filtering surgeries and other ophthalmic surgeries like pterygium excision, strabismus correction surgery, conjunctiva scar removal surgery. ologen™ Collagen Matrix is CE accredited and FDA 510(k) cleared for tissue repair and management of wound. 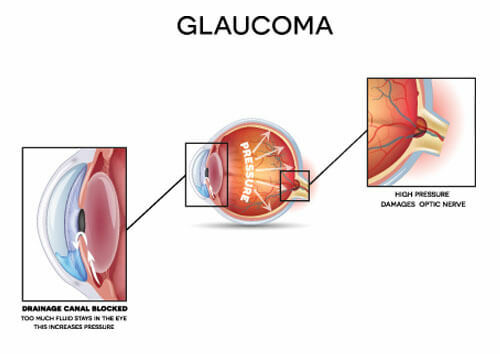 It has been used in ocular surgery like glaucoma filtering surgery to induce non-scarring healing of ocular connective tissue without the need for MMC. 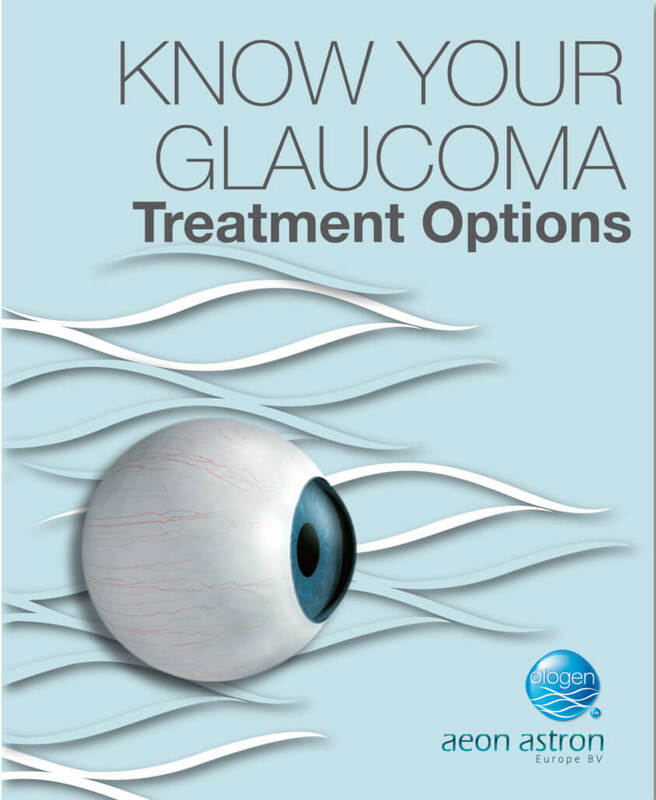 How does ologen™ Collagen Matrix enhance the surgical success rate of glaucoma surgery? Episcleral fibrosis and subconjunctival scarring, the major causes of failure in filtering surgery, are formed as a result of migration and proliferation of fibroblasts followed by deposition of dense collagen bundles in the wound bed. ologen™ Collagen Matrix is a highly porous scaffolds that encourages random growth of fibroblasts through pores and secrete connective tissue in the form of a non-scarring loose matrix. ologen™ Collagen Matrix enables formation of bleb while maintains dynamic flow of aqueous humor. Are there any special surgical techniques required to use ologen™ Collagen Matrix in trabeculectomy? Implantation of ologen™ Collagen Matrix is easily adapted without altering the standard trabeculectomy technique. 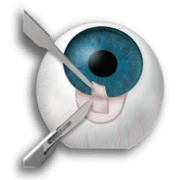 The scleral flap is closed with a single to two loosely tied suture or releasable sutures. 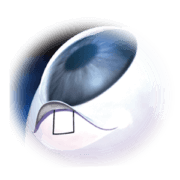 The surgeon then places ologen™ Collagen Matrix directly above the scleral flap before closing the conjunctiva. No suture is required to secure the ologen™ Collagen Matrix. What is the most common challenge seen by surgeons after ologen™ Collagen Matrix implant? Occasional difficulty in lysing sutures with the laser through the implant has been encountered. The use of a single loosely tied suture or a releasable suture eliminates the challenge. Notwithstanding, it has been found that pressing firmly with a Blumenthal Laser Suture Lysis lens (Volk Optical, Inc. Mentor, OH) allows for visualization of most of the suture through the 12 x 1 mm2 ologen™ Collagen Matrix. Why is the adoption of 1-2 loose sutures important before placing ologen™ Collagen Matrix over scleral flap? The hydraulic pressures of aqueous soaked collagen matrix provide resistance at the outlet of the scleral tunnel. The excessive outflow of aqueous humor is limited due to tamponading effect of ologen™ Collagen Matrix over the scleral flap. 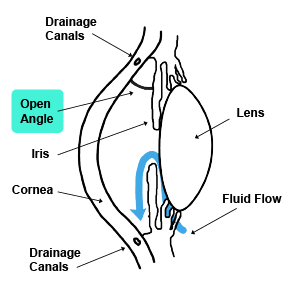 Over tight suture will severely impede out flow of aqueous humor, and leads to raised IOP. What are the advantages of ologen™ Collagen Matrix over MMC in glaucoma filtering surgery? Not a teratogen like MMC. ologen™ Collagen Matrix is an advanced wound care device designed for eye tissue repair mainly for glaucoma surgeries, for ohter applications, please contact us.